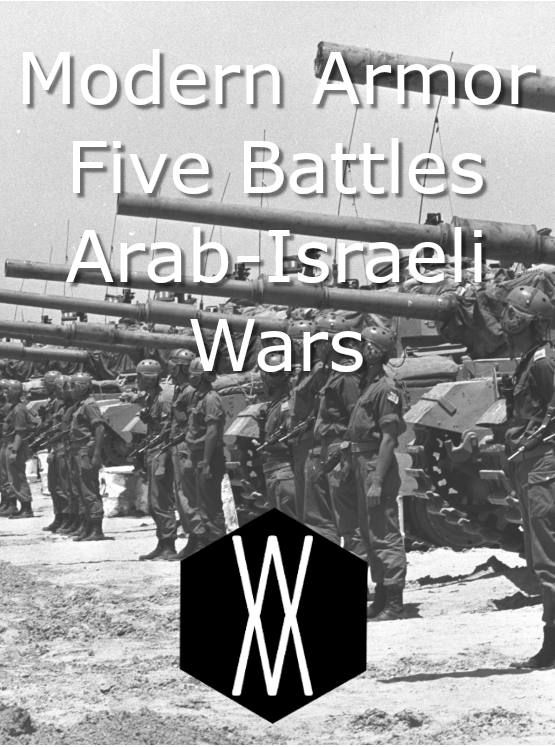 These scenarios are based on five iconic armor actions during the Arab-Israeli conflicts, between 1956 and 1982. Various liberties have been taken with the historical actions to reduce large, complex battles to a tabletop game, and various vehicles have been used that probably were not present together on thie particular battlefield, but saw action in the same theatre of war. An example is the inclusion of the AMX-13 in the Operation Kadesh scenario. These scenarios were included (in condensed form) in the Modern Armor rulebook. Historical information on units and deployment suitable for use with any micro-armor system.